Did you know that NC State offers the only online non-credit insect rearing course in the world? 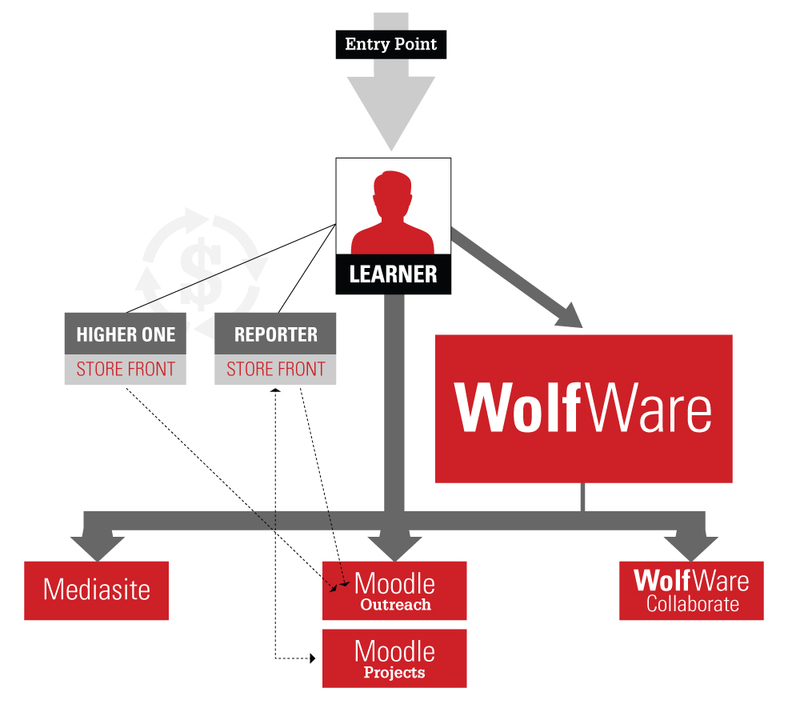 The university and DELTA have been assisting in the outreach of similarly unique programs and other non-credit courses throughout the past year via WolfWare Outreach (WWO), an extension of the WolfWare services which includes a dedicated Moodle server for fee-based, online classes. Various organizations and programs have taken advantage of this incredible outreach program including NC State’s Office of Professional Development (OPD), the university’s Institute for Transportation Research and Education (ITRE) and the College of Agriculture and Life Sciences (CALS). By using WWO, these sectors have been able to reach a much broader audience than in the past. “[WolfWare Outreach] is a new revenue-generating model for different online content providers to deliver to new target audiences. For example, a three-credit-hour course can be created into a smaller modules format according to the needs of the target audience, which is not semester based and it’s not based on credits. It’s a whole different model,” said DELTA’s Associate Vice Provost for Marketing and Partnership Development Kay Zimmerman. 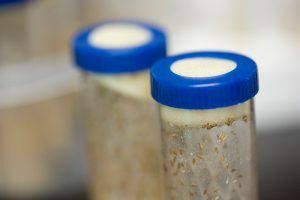 Program Coordinator and Research Professor Allen C. Cohen instructs a global audience on current insect rearing practices, data-driven research, techniques and more through his Introduction to Insect Rearing course. His passion and expertise have led him to teach both credit-based and fee-based, non-credit courses on insect rearing at NC State. He has been able to target a broader audience through DELTA’s WWO Moodle service. According to Cohen, there are approximately 10,000 people around the world who rear insects for a living — not including others who are interested in learning more! Due to such a specific and widespread audience, online learning was deemed the most appropriate delivery method to educate people from around the globe. As of September 2016, the program had more than 60 people signed up for the course, without taking into account the approximate 100 individuals who have already completed it. A collection of 10 different countries are represented by those who have finished the course, an astounding number considering Cohen has yet to tap into the Asian audience. As Cohen’s interest in potential for online courses has increased, so have his hopes for more content delivery and the program’s ability to exceed workshops at other universities. Through these online opportunities, Cohen can reach the insect rearing community worldwide. 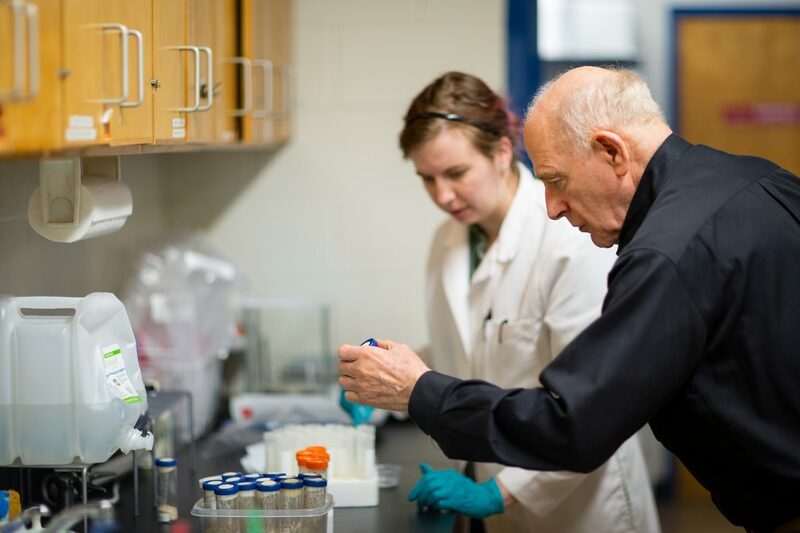 WWO became available to faculty last year as a pilot program. Although the service participated in shadow billing throughout Fall 2015, it became a fee-based service in January 2016. Regardless, dedicated faculty continue to use WWO as a popular way to extend the university’s land-grant mission. Other entities currently using WWO include ITRE and CALS. 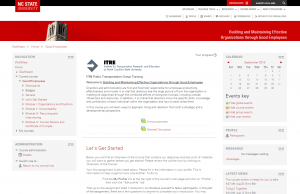 There are three ITRE online training courses available through the WWO Moodle server that assist professionals working to improve the transportation industry. These courses include Building Relationships with Public Officials at Every Level, Building and Maintaining Effective Organizations through Good Employees, and Budgeting as a Planning Tool for Additional Funding. “WolfWare Outreach provides a convenient, affordable and reliable technical resource for hosting ITRE online courses, as well as access to DELTA’s highly experienced and supportive instructional design staff for consulting when we need to improve and expand our course offerings,” said Eugene Murray, ITRE Communications and Distance Learning Specialist. Much like Cohen’s course, the incorporation of HS 202 Power of Plants: Appreciation and Use into WolfWare Outreach has allowed the CALS class to reach a broader audience. Material from HS 202 now extends to the public, Master Gardeners and volunteers associated with Longwood Gardens and the JC Raulston Arboretum through three non-credit courses taught by Liz Riley, a postdoctoral teaching scholar. Riley previously assisted Lis Meyer in attaining a DELTA Distance Education Grant. Taking her knowledge from this grant and working with the development of HS 202 Power of Plants: Appreciation and Use, Riley began teaching the non-credit course. As HS 202 materials were being developed into a fully online, for-credit academic course, the DELTA Grant team simultaneously worked with the idea of taking that information and creating three non-credit courses. The courses offered to individuals through the WolfWare Outreach service server include Annuals, Perennials and Vines; Trees, Shrubs and Conifers; and Edibles, Bulbs and Houseplants. There were 152 enrollments in the extension courses between summer 2015 and summer 2016. Individuals interested in participating can register through Longwood Gardens and pay through a university-sponsored site. “I have really enjoyed teaching the non-credit courses. These courses have allowed us to spread more horticultural knowledge to a different audience that is very interested in the content,” said Riley. 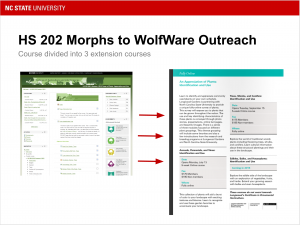 CALS offers a range of courses through WolfWare Outreach in addition to HS 202. Some of these programs include Entrepreneur Initiative for Food, Entomology’s Beekeeper Education & Engagement System (BEES) Program, Plant Identification, FDA Food Safety Education and Training program and Soil Science. NC State’s Veterinary School offers three Outreach programs — Avian Pathology, Animal Loss and the K-9 program. The WWO service includes Moodle, Collaborate and Mediasite and is integrated with REPORTER for registration and payment purposes as of spring 2016. Once a registrant pays for a course, he or she receives account information and access to the online course. With WWO’s ability to target and teach individuals across the world, it became a chore for employers, instructors and course participants to keep track of what had been completed and who completed it. This back-and-forth led to ultimate confusion and served as another reason to use REPORTER. “REPORTER is a solution for tracking, managing, reporting and measuring external outreach, internal training and non-credit activities,” said DELTA’s Assistant Vice Provost of Business Operations Jessie Sova. REPORTER serves as an invaluable tool in aiding the communication between the different parties involved in WolfWare Outreach’s services and is designed to increase the profile and efficiency of programs. WWO’s expansion has impacted an incredible number of people just within the past year. Its incorporation throughout university departments and colleges has encouraged new learning opportunities for individuals who may not have otherwise had the chance to learn about that particular subject. 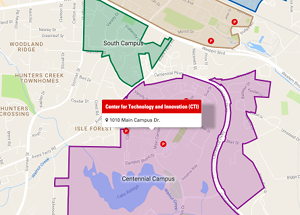 This outreach promotes the Think and Do attitude NC State values and DELTA has been happy to assist in the process.